When we debuted The Dialogue a few years ago, the App Store, and the Apple we knew then, were quite different from how things are today. The Dialogue has been great at showcasing some of our favorite people in ‘design’ and ‘technology’, along with the stuff they’ve worked on. Today, I am talking to one such individual who’s had a very varied career over the last few years. Social networks like App.net came into existence and faded away. I followed Steve a long time ago and it is great to finally have been able to discuss various things, both in technology and in gaming, for this newest edition of The Dialogue. Hello! My name is Steve Streza. I’ve been a software developer for the last 15 years. I work mainly on iPhone apps, web software, and some backend development. Currently, I’m a software engineer at Tumblr, and in the past I’ve worked on Pocket, Shots, Soundboard at Ambrosia Software, and the plus+ social gaming network at ngmoco. On my own, I’ve built apps like Ohai and Todolicious that have come and gone, as well as the app and upcoming website Pony Cons for tracking conventions around the world. I’ve also open sourced a bunch of code like Relayout, XPCKit, IIIAsync, and many others. Outside of work, I am constantly on the search for new communities on the Internet. For almost 20 years, I’ve been involved in fandoms like Sonic the Hedgehog, My Little Pony, anime, Invader Zim. I’m constantly trying to learn new things, like electronics and circuits, woodworking, sculpting, and video creation. I run a YouTube channel called Strezabyte, focused on the amazing things we can do with technology. I live in Seattle with my fiancee Abigail Starling, a comic illustrator and my partner on our comic Envelove. The tech landscape has changed quite a bit since the inception of the App Store. You’ve been involved with some of the most important apps and services over the same period. Let’s start with Read it Later or Pocket that has played a huge role in many people’s lives. Tell us about your time there. I began working at Pocket (then called Read It Later) in the fall of 2011. At the time, iOS was well entrenched as the de facto mobile platform, but Android was quickly gaining traction and it was starting to become necessary to have apps on both platforms. On the desktop, as Internet Explorer began to fade into irrelevance, people began to demand richer and more usable web apps that rivaled desktop and mobile apps. Read It Later began to scale beyond a bedroom project into a company, and the founder Nate Weiner was focused on building out Android and web platforms, and I joined that team to help build out the iOS app. In the years since it started in the late 00s, a number of apps came out that adopted “read later” features. Video was becoming more and more of what people were saving and many apps had similar features added that ended up being competition for us. We rebranded and redesigned the app as Pocket within about 7 months and continued adding new features and layouts and integrations. I continued for another year and a half or so working to build the best iOS consumption experience we could and that effort showed. We grew from 4 million to well over 12 million users while many competitors stalled out or shut down entirely. Outside of big name apps in the tech space, you worked on an app for Justin Bieber as well, called Shots from Justin Bieber. How did that come about and how was the experience for you? 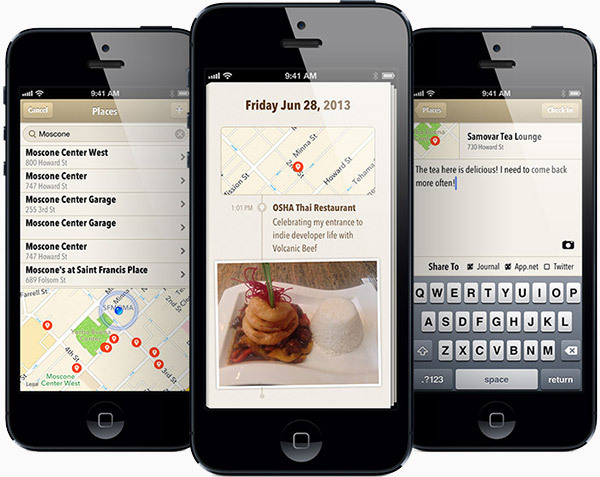 After I left Pocket, I worked as a contractor for startups building the first versions of their iOS apps. I got introduced to the founders of Shots, John and Sam Shahidi, who were looking for someone to help them finish their iOS app. They had worked on other apps before including the Runpee app and some mobile games for celebrities like Mike Tyson and so had a lot of connections and investment from celebrities who were trying to break into the growing mobile space. This included Justin Bieber and some others. Working on that app was certainly an experience unlike any other. Given Bieber’s prominent involvement, the social network had a lot of his fans on it and they were all about evangelizing the platform. They were also spreading its message of positivity and just being positive toward each other on it. At the time, I was really soaking into the My Little Pony fan community, and seeing both of those communities, which are both very different and weirdly similar, was a perspective-changing experience. A few years ago, App.net was the talk of the town. You built a few things around that, including Ohai and also Project Amy. Tell us a little bit about what you thought of App.net, paying for social networks, and your projects for it. App.net was a paid microblogging social networking platform similar to Twitter, with a developer platform that was far more open and friendly. It’s easy to see why it had failed in hindsight, of course; the idea of a paid-only social network is unthinkable now and Twitter was already well saturated for the target market. App.net wasn’t exactly headlined by a glamorous, catchy name. But far more significant to me was what it offered to developers: a very consistent and stable API upon which you could build apps, and not just the Twitter client-esque types of apps. And it offered something that was really revolutionary at the time – the Developer Incentive Program, or DIP, which took a portion of the revenue paid to App.net and distributed it to developers based on usage. What I saw in the platform was a foundation for building apps. Project Amy was a plugin that integrated the App.net private messaging system into macOS’ Messages app. Ohai was a journaling app that used App.net’s messaging system as a kind of database for journal entries. The messaging system had so much flexibility that it could enable that kind of storage for a single app in an isolated way, and this data storage was actually so powerful and flexible that other developers added support for publishing to your Ohai journal. Both of these apps got very solid usage, contributing to a pretty significant amount of income from the DIP. Not enough to live on in San Francisco, but certainly nothing to sneer at. But now those apps don’t exist anymore, because App.net wasn’t able to keep the money coming in. Which isn’t terribly surprising in this day of social network variety and infinitely free services. They stopped really incentivizing people to contribute money by adding a free tier with liberal-enough limits that even people who spoke at length about paying for services stopped doing it. It’s unlikely that a paid microblogging service would work at any scale other than the very small. Either you go for huge scale and stay free and ad-supported, or you deploy a Mastodon or Diaspora instance for a community that self-funds a server to run on. App.net failed in trying to chase a middle ground that had never really been tried. It’s a shame that it didn’t work, but it didn’t. It sure was a hell of a lot of fun while it lasted. You and I often converse online and I feel like we barely discuss tech at all since our conversations are mostly always gaming related. So let’s talk gaming for a brief bit. 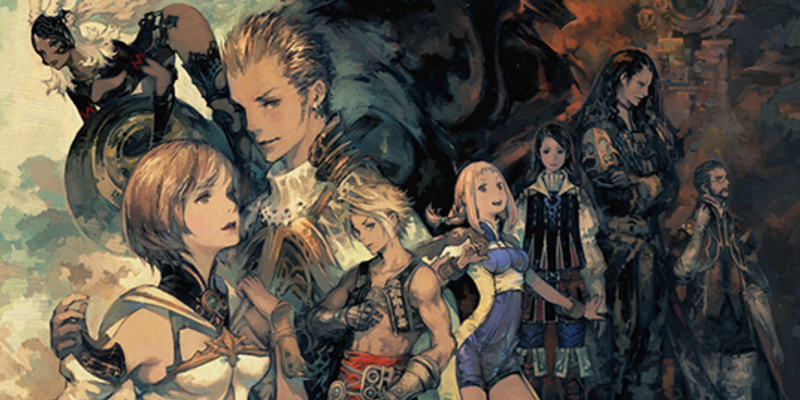 Final Fantasy XII recently released on PlayStation 4 as a remaster. Why is Final Fantasy XII the best Final Fantasy and what are your thoughts about it in general? I’m not sure I would call Final Fantasy XII the best, but I certainly think it was the bravest departure for the series and is an interesting look at an alternate universe for RPGs that could’ve been. For years, the mainline Final Fantasy games ended up with variations on the same old turn-based system that, while evolving and changing for every game, could frequently be reduced to the same loop. Attack, attack, maybe cast fire or roll a summon, attack, heal, attack, get experience points. Since you could just grind through most encounters on autopilot, they felt grindy and repetitive quickly and got in the way of the stories being told. Final Fantasy XII flipped this model on its head with gambits, effectively giving you a little programming language to control your characters with. So you could make your healer cast a heal spell if they could, use a potion if they couldn’t, or attack if nobody was hurt. When all this is set up, you can power through dungeons quickly as your party just automatically fights their way through the baddies. Now, the game wasn’t about the battle, it was about the setup for the battle, which added this entire new meta layer to planning the game that was never really done, especially as you picked up new gambit recipes and your characters unlocked additional gambit slots. You were always on the hunt for the optimum gambit setup, and the game was now trying to design itself to counter what gambits you might set up. I thought this was the coolest system, and turned one of the least fun parts about JRPGs into one of my favorite. Sadly, the market didn’t agree, and the industry moved on. Ever since then, the Final Fantasy games have gone sharply away from this system. The XIII games emphasized switching between combat styles and autopilot, but there was no scripting, so you just button mash your way through battles for the most part. And XV went full on manual and real-time. The Persona series, which is arguably one of the other mainstream JRPG series, also has classic turn-based systems like the pre-XII days which lead to the same attack loops that get a little tired. Some indie RPGs, like Undertale and Cosmic Star Heroine, are messing with the classic turn-based formula in really novel ways, but nothing seems to approach the depth that we saw with Final Fantasy XII. Speaking of other games, what are you currently playing across all your devices? I know you basically own devices on almost every platform. My go-to mobile game is Star Wars Puzzle Droids, which is a fun little match-3 game that’s Star Wars themed, and has some decent production value too. I suspect it was a commercial flop as they haven’t updated it in months (not even for the release of The Last Jedi or the standalone Solo movie that just came out), but it was a really charming match 3 game and has a ton of levels in it. When I have more attention to give I’ll usually play Downwell, which is a fantastic little platformer/shooter game that has a very NES Metroid aesthetic to it. If I’ve got a decent chunk of time I’ll play Crashlands, which is a fun adventure game with some crafting and questing. But since I usually have a portable (these days it’s my Nintendo Switch, with the PlayStation Vita not long before that), I’ll usually break that out and play games like Disgaea 5, Sonic Mania, Xenoblade Chronicles 2, Stardew Valley, or Bayonetta. When I’m at my PC, my go-to unwind game is Rocket League, which I’ve probably played almost daily since it came out in 2015. I’ve got over 600 hours logged on it on Steam so far, played over many 20-30 minute bursts. After that, my current gaming vices are Factorio and RimWorld. Factorio is a programmer’s sisyphean dream of micromanaging and tweaking inputs and outputs of a manufacturing system to create a perfectly balanced pipeline. It’s a lot of fun and an amazing way to waste an entire day. RimWorld is a colony management game where you crash land on a planet and have to establish a colony to survive, but with you just giving the orders of what you want done and letting your colonists figure out how to do it. There’s a lot of role playing opportunity with this one and I’ve sunk over a hundred hours into this. Part of my problem with games is that there are so many games that have a chunk of really amazing gameplay wrapped in a repetitive slog of side quests and gameplay loops. I rarely stick with games for more than a few hours because you can tell that what lies ahead is just more of the same. One of the reasons I loved NieR: Automata last year was that it kept changing on you, and that helped me stick through its grindy bits to get to participate in one of the most incredible gaming experiences I’ve ever had. But I’m always shifting around. At this moment I’m bouncing between a number of games, like Battletech, Pillars of Eternity 2, Undertale, Final Fantasy XV, Danganronpa V3: Killing Harmony, Destiny 2, Surviving Mars, No Man’s Sky, and Unreal Tournament 2004 (seriously, it’s still as good as you remember). I love the breadth of experiences the medium affords, but unfortunately these days the depth is hard to find. What do you think of the current gaming landscape and the rise of good design in gaming, through interfaces seen in Supergiant Games’ stuff and even Atlus’ games? It’s honestly long overdue that games get some solid design appreciation. Game design is almost always overdoing it with what information is shown to the player and how that information is communicated. Persona 5 had big bold transitions using bright colors and large motion graphics to convey information and got accolades for how that cohesive presentation made the game better. Supergiant’s Pyre was a gorgeous game that did a great job emphasizing the information the player needed, and stealing focus from the game when needed for the story. Destiny had a very strong design language for its interface with clean typography, subtle animations, and audible cues that felt like they came from mobile app design. The 90s and 2000s brought with it more powerful hardware, and designers took it to absurd lengths. During the HD era, game developers used the extra screen real estate to pack in more information and options, rather than make those features more easily understood. They used visual and sound design to be flashy and not functional; I’ll always laugh at the menus for Shadow the Hedgehog playing a gunshot sound effect every time you select a menu action. And they continued to test on TVs that were right in front of their face instead of across a living room, leading to subtitles that were impossible to read on 1080p screens. Luckily this situation seems to finally be improving. You play a lot of games on various platforms. 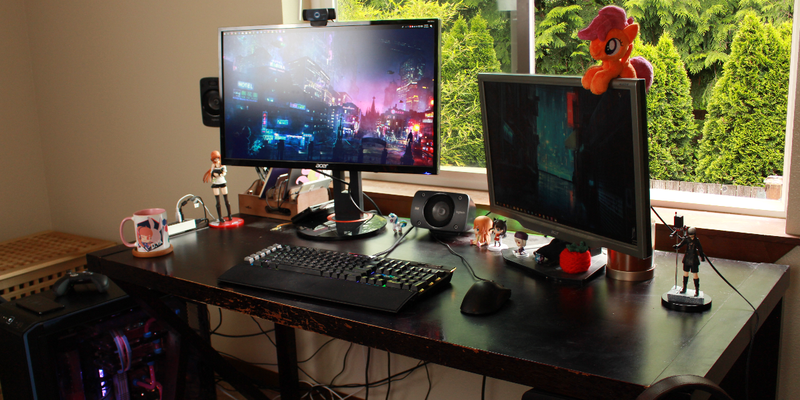 Has gaming influenced your design and work in any way? Yes and no, because gaming generally needs a fundamentally different type of design than productivity software or social networking. Games tend to want to hold your attention; tools want to get out of the way of your attention. Games use motion and slow transitions to drive emotions like suspense and excitement, where most software uses it to just convey information and get out of the way. So you want to be careful about what you take. The most obvious design concept that can be shared is that of the compulsion loop. In Diablo, you hunt undead to get gear, which you equip to hunt harder undead, which gets you better gear, and so on. I think a lot of app designers often times wire up a bunch of features into an app and then expect usage to come out of it, and that can work, but if you approach app design as a whole as a series of ways to create self-reinforcing patterns, you can hopefully drive positivity to your app and better solve the problem for people. Of course, you can have a negative impact too, so you have to be careful. The other facet of design I’m trying to figure out how to integrate is a sense of style or voice (in the literary sense). Games try to present themselves with a tone, whether it’s a super violent war game like Call of Duty, a light-hearted adventure game like Super Mario Oddysey, an over-the-top space western like Borderlands, or a sleuthy narrative game like Persona 5, games almost always present themselves to the player with a frame of reference in which to view them. Most app style software wants to stay completely out of your face and risk nobody the offense of being deliberately designed to appeal to a specific audience. The CARROT iOS apps are one exception here, which don’t try to hide that they have some personality written into them. One app I have wanted to write for awhile is a personal security app that has a little AI personality to motivate the user to do actions that they otherwise might not feel compelled to do. Would it work? Who knows, but it would at least be a differentiating factor from most of the sterile designs that I see every day. Software should have some whimsy to it. You’ve mentioned doing comics before and have even done one. How has that been going? My fiancee and I work on a comic called Envelove, which is a set of stories about fairies who deliver emotions between people. The main character, Aria, delivers feelings of untold love between people who can’t say it themselves, kind of like a modern day Cupid. We made it as a webcomic, as well as self-published two physical comic books so far (with another few planned). I have wanted to be a writer since as long as I’ve wanted to work in software. In my early teens, I wrote science fiction short stories and fanfiction, which has fortunately (for me) been long scrubbed off the Internet. It’s a really hard skill to get the hang of because you’re staring at a white piece of digital paper and trying to spew a story onto it. Envelove is a story that deals a lot with emotion and subtle interactions between people who share connections, and conveying that information in a written way that gets translated into art is really tough. I have such a profound appreciation for the craft that I hadn’t before. We have a few more books in the series planned, and other concepts we could develop into comics, but it’s just a matter of finding time among all the other things we work on now. You’ve also been a vocal part of the tech community about the things you both love and hate from the giants. What are a few things happening in the tech space now that you absolutely love? It feels right now that we’re on the precipice of some sort of major revolution in how we use computers. We see a lot of experimentation right now in how we use tech, and in what fields computers are good at. Virtual reality and augmented reality have made massive inroads in the last 5 years, and yet we don’t know what they’ll actually be used for in 10 years. Machine learning is simultaneously super powerful and also really prone to mistakes. Voice-driven UIs are possible now and they impress when you talk with deliberate phrasing, but they fall way short of the level of personality and omnipresence that we see from J.A.R.V.I.S. from Iron Man. Home automation has immense potential to improve daily life, and yet we have a ton of fragmentation. Yet despite all of those flaws today, there is immense potential in what those things could do in the future, and we don’t know what exactly the next smartphone-class revolution will look like. And that’s super exciting. A little more down to earth, I really love watching the incredible amount of tooling coming from the web development community. Web developers keep searching for new approaches and ideas to build technologies on. You have a ton of choice to use any of a variety of tools (or none) for every facet of web development, like packaging and building and testing. This is a blessing and a curse, as you do have to spend some time paying attention to the general march of progress and weed through what the benefits and drawbacks of each are, some of which aren’t known immediately, but I love what it has produced. And since it is community-driven tooling, if there is a missing tool or a problem, you can just fix it, rather than waiting for a monolithic platform run by Apple or Google to decide it’s worth their effort to fix. There is a lot of experimentation happening, and it’s pretty great to watch. In the past, you have mentioned how premium apps and marketplaces should utilize a PlayStation Plus like model where users pay a fixed amount per month to get a set of free apps each month. Do you think that is feasible on Google Play and the App Store today? The indie market has been very seriously wounded on mobile. Countless apps have been choked out of existence by a lack of revenue as more and more money is put behind free apps. Customers have been trained by the App Store to expect free apps and many people won’t even bother looking at an app that has a price tag. Some developers critically adapted by moving to either a freemium model or an adware model. Some others are moving to subscription-based models, where users pay monthly. Here’s the problem: nobody really likes using any of these solutions, and aside from subscriptions, they aren’t aligned with users’ interests. Ads are annoying, they drain your battery, and they usually involve some level of sucking up personal data off your device and sending it to an ad network. Freemium apps usually involve heavy nagging and are designed around pushing you to spend money frequently. Subscriptions force you to keep paying for something you may not use for long and are incentivized to make it easy to join and hard to quit. What I would love to see is a service where developers can be included in a “premium” app directory, either via an automated opt-in, an invite by Google/Apple, or something else. These apps could be held to a higher standard of quality (e.g. no ads, a low volume of crashes, a high star rating, mandatory rules for user data export, etc) to remain in the program. Then, users would be able to subscribe to the service as a whole for a monthly fee, in a similar fashion to Netflix, YouTube Red, or PlayStation Plus. In exchange, you would get access to all of those apps for free as long as you stay subscribed. And since this whole system is optional, developers could continue to sell their apps separately or include ads or sell subscriptions or whatever model they like for people who were not subscribed. Those developers would get paid based on some set of metrics, like usage or satisfaction levels or who knows. This system, like every other distribution method since the dawn of the App Store and the Play Store, would still likely be manipulated by shady developers. It would not solve the shovelware problems, and it wouldn’t guarantee anyone a working income that might not have existed elsewhere. But, what I suspect it would do is convince some subset of mobile users who don’t pay for software now to start. It would do it in a way that wouldn’t overwhelm people with piles of subscriptions. That money would go to largely to the types of apps that have been the most hurt by the race to the bottom on mobile app prices. And it aligns the interests of the user with that of the developer – providing software that provides great value. What are your current favorite pieces of hardware? In my spare time I’ve been tinkering with electronics and circuits, trying to understand how computers work at the electrical level. One of my favorite tools right now is my Rigol DS1054Z oscilloscope, which lets you plug into any part of your circuit and analyze what’s happening with incredible detail. It turns out that a lot of work you have to do at the circuit level is just cleaning up your signals and preventing bounces and surges, and an oscilloscope is essential to know how well you’re doing that. I barely know how to use it but I’m already learning a lot. In terms of computing, my favorite machine is my custom built PC which was designed and themed after D.Va from Overwatch. 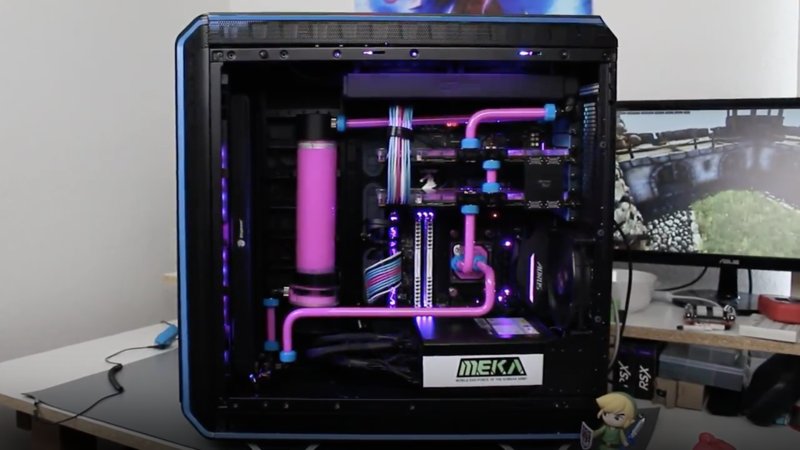 It’s got a custom watercooling loop in it, it has some paint work, special decals, custom cables, and it was even signed by D.Va’s voice actor Charlet Chung. While I’ve built a half dozen computers before this, this machine is definitely the first time I could really go all out and make something truly special. I poured a ton of time and soul into that machine and made a YouTube series documenting the process. I use this machine for gaming, writing software, watching videos, making music, doing production video, learning how to make games, and all sorts of things. One last pick I’ll take right now is the Daydream VR headset. To me, virtual reality is a revelatory experience that can be breathtaking, captivating, therapeutic, and just fun. And while the PC and PS4 VR headsets do a way better job at really high-resolution graphics and motion tracking, the Daydream software is the most accessible, and it’s something that anyone can try anywhere. My mom had an amazing time just flinging snowballs in VR with it. I took a tour of the White House with it and went skydiving. And as someone with terrible in-flight anxiety, wearing a Daydream headset and watching movies in-flight is such a relaxing experience I can’t imagine not having it in the future. It’s just a wonderful little device. What’s your dream piece of hardware? When I look at the history of computers, one of the events that occurred which would create decades of innovation in the industry was the standardization of hardware. You didn’t need to be a huge company to create hardware that would be usable inside a computer, which enabled small companies to invent awesome, game-changing products that redefined how we used computers; things like graphics cards, sound cards, optical drives, game controllers, networking cards, and all sorts of other things could be added because of these standards that the tech companies fought for and added to their products. Today’s laptops, tablets, and phones all have run away from the idea of a standardized, modular, open platform towards closed off, pay-to-play, opaque, tightly controlled walled gardens run by a single vendor looking out for their interests over yours. And while there are certainly benefits for most people with that model, I would love to have an alternative platform where the user still held complete control. Being able to add RAM, upgrade your CPU or camera, make a root account, or even replace the operating system would be an amazing thing to have in a pocket computer. That probably isn’t the most popular idea but it’s one I’ve thought about many times, and could enable a huge sweep of innovative products. And this is going to sound super cyberpunk, but I hope we see memory augments for the human brain in my lifetime. What do you think of the current state of home automation? Do you see a future with products like Google Home, HomePod, Amazon Echo? Home automation has incredible promise but it’s a mess and it doesn’t seem to be getting better. Each company has its own cloud platform, and now Google and Amazon and Apple have their platforms that serve to untangle all this yarn, and these aren’t interoperable at all. There is such a mess of incompatible APIs and devices that don’t work well together. You can patch these things together if you have the time and the patience, but there are going to be headaches for the foreseeable future. And there are countless cases of poor security at the companies deploying these things. What the home automation industry needs is to standardize. Devices need to talk to each other through standard protocols, hubs need to be able to work with each other, and there needs to be space for startups to battle incumbents. What’s worse is that all the tech to do this exists already. Services could discover each other through zeroconf/Bonjour, communicate via Wi-Fi or Bluetooth LE or powerline networking, talk securely with TLS, and interact through standardizing APIs. But standardization hurts the big vendors who move all the big units and want to keep you locked into their platform, so we’re stuck with what we have for now. That’s one of the reasons I’m learning electronics; I want to learn how to build my own hardware to work with a system like this. What software do you use on a daily basis, for work and for leisure? Most of my day-to-day work involves programming either iOS apps or web apps. For the former, I use Xcode out of necessity, as it is almost impossible to build apps using other editors, but I’d be lying if I said I didn’t have major problems using it every day. Major features like code completion and debugging just don’t work a lot of the time, and that makes using it a major frustration. When I’m working on most other environments, I use either Visual Studio Code or Vim, both decked out with lots of plugins. I also am doing more work with Docker, both for development and for running apps on my servers. I self-host as much as I can, both for privacy considerations as well as just liking stability; a tech company providing a hosted app can (and will) change their app at any time, but something run on my own server will stay exactly as I like it until I’m ready to upgrade. My servers run my email through postfix, webmail through RainLoop, calendars + contacts + photos + files through Nextcloud, source code through GitLab, home automation through Home Assistant, RSS feed reading through FreshRSS, an OpenVPN instance, Wallabag for bookmarking/save-for-later stuff, and Emby for media management. It’s not as simple as signing up for accounts everywhere, but it keeps me in control of my data, it’s cheaper than signing up for all of these services individually, and there’s almost no unexpected downtime (that isn’t my own fault). When I’m at home I’ve got a variety of apps for side projects beyond programming. I do all my script writing in LibreOffice synced through my server. When editing videos I’ll primarily use Adobe Premiere with a bit of After Effects if I have a fancy animation to toss in. When it comes to fun time, I use LaunchBox for Windows to launch most of my games, since I do play games from a lot of sources, Steam, GOG, Blizzard, various custom launchers, and emulated games for older systems through RetroArch. What are the most used apps on your phone(s)? On my phone (currently the LG V30) I try to stick to apps that don’t silo data in, and I tend to use apps that come from open source communities. Unfortunately, that’s not entirely doable these days. I use Firefox as my browser, with an open source app called PasswordStore keeping my passwords in sync. I use an app called AquaMail to connect to my email accounts, which I love because it explicitly doesn’t connect through their company’s proxy server to download all my email like a lot of startups do these days. I do texting/chat through Signal, Telegram, and Discord (which more people in the tech sector should be using for their group chats than Slack, honestly). I look at Twitter using the third party app Flamingo, which I think has since run out of tokens at the hands of Twitter’s oppressive OAuth token allocation scam. For music I’m currently using Google Play Music (though that may move to YouTube Music soon), which I’ve found to have the best-generated stations for my taste, especially compared to Spotify and Apple Music. The only real concession I still have is that I keep notes in Google Keep, and that’s primarily because I haven’t found something better yet. I’ve got a bunch of video apps on here, including YouTube and YouTube TV, Netflix, Amazon Video, Google Play Movies & TV, and Emby, and I watch video on my phone a lot. And of course, I have an ever-rotating list of games, but the current favorites right now are Star Wars Puzzle Droids (a match-3 game), Downwell, and Crashlands. And a sudoku game is always somewhere in my recents. As of April 2018, I now work full time from my home in Seattle, so it is a lot less stressful and chaotic now. I’m usually up around 8 AM and make a cup of Blue Bottle coffee on my AeroPress, usually with a bagel or some strawberries. After that, I’ll feed my two cats, Jenova and Honey (named by my fiancee over her objection to my original name of Chairman Meow) and usually work on odd projects or play some games for an hour or so. After that I’ll do the day job thing from my office here at home, usually with some downtempo electronic music or a rerun of a show I’ve seen a hundred times like 24 or the West Wing, just to have some background noise going. After work I’ll usually make dinner followed by either hacking on personal projects or playing games on my gaming PC. These days there’s also a lot of unpacking and furniture assembly, as always happens after a move. On weekends it’s usually more of the same, possibly with an occasional movie tossed in. Soon we’re going to be getting a big dining/gaming table, and then we’ll be having tabletop gaming night with Dungeons and Dragons and hopefully some board games, which I’ve been wanting to get into for awhile. I stop all work at midnight, no matter what it is, and will usually play games until bed around 1 AM. Many thanks to Steve for his time especially since he recently moved.